This has been my year for discovering Jane Gardam and I have done so with a vengeance. I started with A Long Way from Verona and The Summer After the Funeral and after that there was no stopping me. But there was also no sitting me down to write proper reviews, which is why we’ve ended up here with thoughts in brief about four more of her books that I read this year. 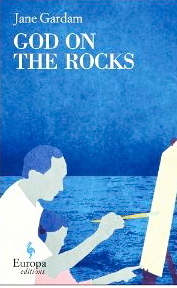 God on the Rocks, published in 1978, was shortlisted for the Booker prize. It lost (to Iris Murdoch’s The Sea, The Sea – or, as Simon would put it, The Sea, The Sea, THE BLINKING SEA) but still having it there gives you faith in the whole book prize decision-making process. This is vintage Gardam, with the complicated world of adults fully observed but only half understood by eight-year old Margaret. Margaret’s world, as the novel begins, consists of a common but uncommonly religious father, her loving mother (a “still-young woman much given to God and sympathy and immensely loving to babies”), a baby brother who requires far too much attention as far as Margaret is concerned, and the family’s young and wildly inappropriate maid, Lydia. Into this world come Charles and Binkie, friends’ of Margaret’s mother from childhood, and over the course of the summer Margaret’s world is tilted and forever changed. Tragic, comic, and with the typical Gardam touch of the grotesque, God on the Rocks is marvellous. Some books get odder the more you think on them. Faith Fox is one of those books. What I haven’t quite figured out yet is whether that is a good or a bad thing. Published in 1996 and, unlike many of Gardam’s other novels, also set during the 1990s, it is the story of the chain reaction that occurs when Holly Fox (“…a hockey-playing extrovert who never stopped laughing. A gymnastic outdoor Betjeman girl. A woman of no subtlety, a bossy, tiny-minded bourgeois.”) dies while giving birth to a daughter, Faith. Everyone – her friends, her extended family, and certainly her doctor husband – assume that Holly’s devoted mother, Thomasina, will step in to take care of the baby. But instead Thomasina, who had so looked forward to becoming a grandmother, disappears. She runs first to a spa and then, having picked up a gentleman friend, to Egypt, and on and on from there. Meanwhile, Faith is deposited with her uncle in Yorkshire, an idealistic man who is taken advantage of by almost everyone he comes into contact with – his brother, his wife, and certainly the expatriate Tibetans who he has opened his home to. This isn’t Gardam’s best work but, strangely, it is her most quotable one. Thomasina is a marvellous character and this is one of those books that grows better the more distance you have from it. 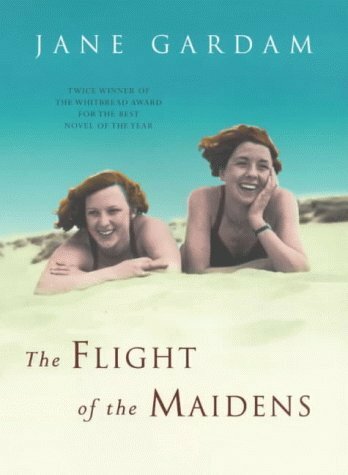 The Flight of the Maidens is as close as I’ve come– and as close as I ever hope to come – to finding a conventional novel written by Gardam. In fact, it barely feels Gardam-like at all. Published in 2000 but set in 1946, it explores the lives of three school mates, Hetty, Una and Liseolette, in the summer before they begin university. Hetty spends the summer trying to break away from her mother, bicycle-mad Una spends it trying to sleep with her boyfriend, and Liseolette, who came to England as a child via the Kindertransport, finds herself shipped off to California and her only remaining family. It is good and well-written and not quite as conventional as I’ve made it sound, but still not memorable. 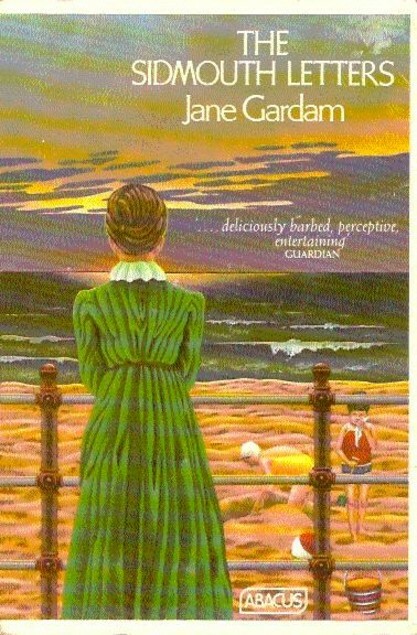 With The Sidmouth Letters (1980), Gardam presented me with a book of short stories that I actually liked. Do you know how rare that is? Do you know how averse I am to the format? But this volume is nice and slim and, most importantly, it is written by Gardam. The title story is about Jane Austen, which is always a good sign. Other memorable entries include a gothic little piece about a ghost sighting and, the story that stands out the most in my mind, the tale of a woman who, while on vacation with her two small children, runs into a former lover and contemplates what her life might have been like. Abacus has collected Gardam’s stories and recently printed them in a massive collection. Based on these few (which are in the new book), it is a collection well worth checking out. I loved Old Filth but will save that for a proper review, perhaps once I’ve read the whole trilogy. I also listened to Bilgewater as an audiobook and, though I won’t review it here, it might just be my favourite Gardam to date. It is as odd and dream-like as you could possibly wish, with all the heart and humour that you could want. I adored it. I gave up on Faith Fox, I just wasn’t enjoying it in the same way I enjoyed the Filth trilogy which I thought was outstanding. And I know what you mean about short stories – they are not my preferred reading, either. As to my own reading … still reading Gaskin’s The Summer of the Spanish Woman (very long paragraphs, some almost two pages long, this writing style has somewhat vanished) but have taken delivery of three … Christine Poulson’s latest crime novel, Invisible; Pictures at an Exhibition by Camilla MacPherson, and what must qualify it for ‘the most beautiful cover’ award, if there is such a thing, An Appetite for Violets by Martine Bailey. Faith Fox is definitely a bit harder going than her other books, I’d agree. But I loved some of the passages and characters so much that it sort of made up for its flaws. The first Gardam I read was for very young children, books like ‘Kit in Boots’ and ‘Horse’ which may be for seven and eight year olds but are still perfect studies in the interplay within small societies. My favourite amongst her books for adults is ‘Queen of the Tambourine’, which you haven’t mentioned. Have you read it yet? No, I haven’t read it yet. It’s still on the TBR list – I figure I should save at least a few of her books for next year…or maybe just the second half of this year. I’ve only read A Long Way from Verona, which I really enjoyed. I think it is time I read more Jane Garden. I really enjoyed that one too. After Bilgewater, it’s still probably my favourite. And yes, you should read more Gardam! I’ve only read ‘Faith Fox. which I like rather than loved, but you are tempting me to try again with another library. My library has lots, some on shelves and some in reserve stock, which has to be a good sign …. 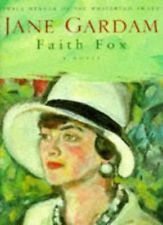 I think like is about as much as one can hope for with Faith Fox, though the parts I liked I really, really liked. But you should definitely try again! A bit off topic – Thank you so very very much for introducing me to Margaret Kennedy. I began with Troy Chimneys, then read Lucy Carmichael and just finished The Feast. 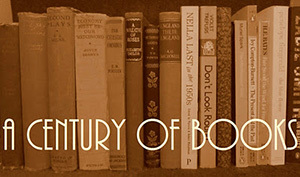 The books seemed to go from really good to simply wonderful. Now I’m combing used book sites to find more of her. You’re very welcome, Leslie. You’ve now read far more of her fiction than I have!